Our family started a fun new tradition this year Elf On The Shelf each night our little Elf moves to a new spot in the house. The kids wake up excited to go see what he has been doing all night while they were asleep. Playing on the stairs…. rolling down them in a tube of toilet paper! Day 7 – In our house plant, hiding with Sprout from Green Giant. Day 10 ~ In the dryer, folded the clean blankets into a little bed for him and a few friends. STILL WANT MORE IDEAS??? 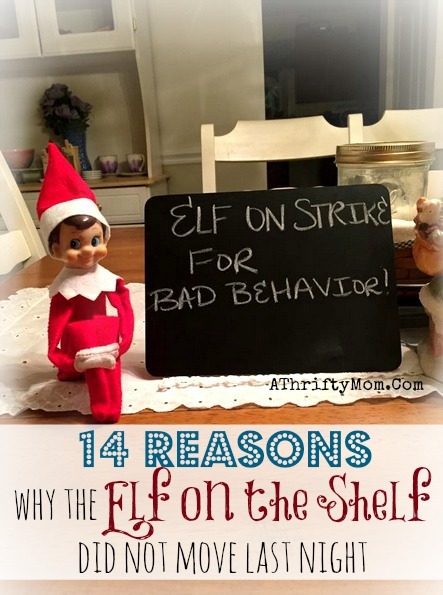 Here are over 200 ideas for your Elf On the Shelf. We are loving our Elf On the Shelf so much that we are going to give one away to one lucky reader. Each day we will post a new photo of where our silly elf has been. We invite you to “Name This Photo” by leaving a comment each day in the comment section below. On the 26th we will pick a random winner and ship you your very own Elf On the Shelf for next year!